With this product you can accumulate up to 164 Glitter Points. 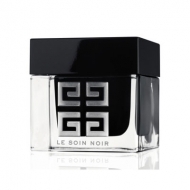 Le Soin Noir - Complete Beauty - Renewal Eyes Skincare is a Givenchy anti-aging treatment for the delicate eye area. This formula was developed with nine anti-aging ingredients to addresses visible signs of aging. Formulated with the Algae Vital Complex to re-establish the communication between cells, improve immune system and cellular renewal for a brighter look. Smooths wrinkles and firms the skin matrix with soy and oat extracts. This gel formula reduces puffiness and dark circles. Delays and repairs visible signs of aging, revitalizing eye contour area. The eye contour is immediately softer, firmer and more radiant. Smooth gently to eye contour.